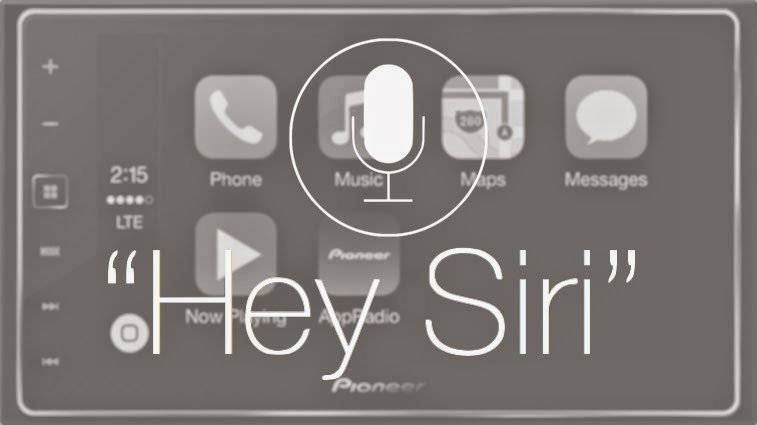 Apple has a very useful feature in iOS 8 called 'Hey Siri.' When the iDevice is plugged in to a power source, saying the phrase 'Hey Siri' activates the voice assistant. This is particularly useful while driving. The feature works great most of the time. It's worked fine in AppRadio Mode on Pioneer's compatible head units and continues to do so. The only problem it seems to have is in CarPlay. 'Hey Siri' works sometimes when in CarPlay mode on my Pioneer AppRadio 4 (SPH-DA120). Most of the times when you try to trigger the voice assistant, the head unit just beeps twice, not even allowing you to input your voice command. I have tried saying 'Hey Siri' and pausing for her to show up, as well as saying something like 'Hey Siri, play me some music' or 'Hey Siri, give me directions to home' without a pause, but to no avail. All that happens is the double beep you hear when you're normally done speaking your command. Whether this is an Apple issue or a Pioneer issue, I'm not sure. It would be interesting to see if the command works on a Pioneer NEX receiver or an Alpine iLX-007. If I had to guess, this is probably an Apple issue which needs to be fixed by them. I have had success getting the command to work on a few occasions. When it works, it works quite well. But majority of the time it doesn't work at all and can get very frustrating. Hopefully a permanent fix to this problem is coming soon. I also gave this issue, very annoying.